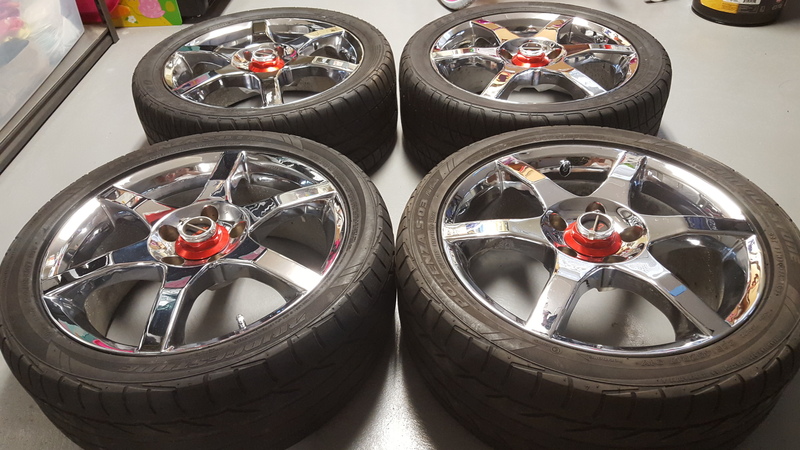 Just wanted to put a feeler out there to see if anyone would be interested in buying (4) used Chrome 17x7 TSW Revo's. 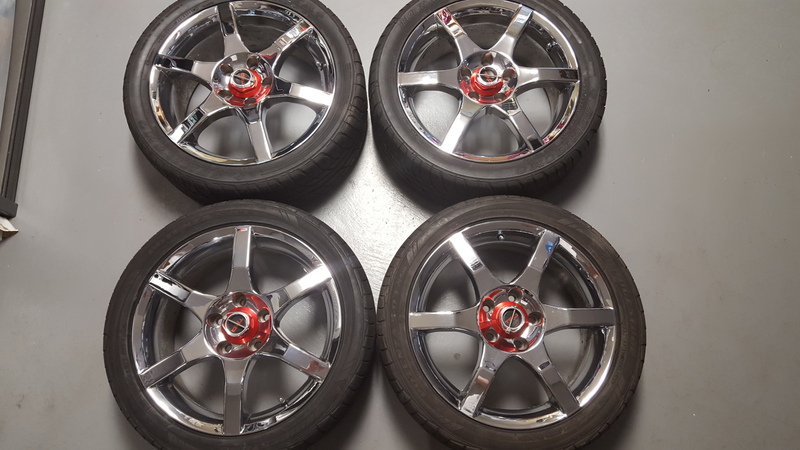 5x114.3 lug pattern with TRD center cap and red nut. 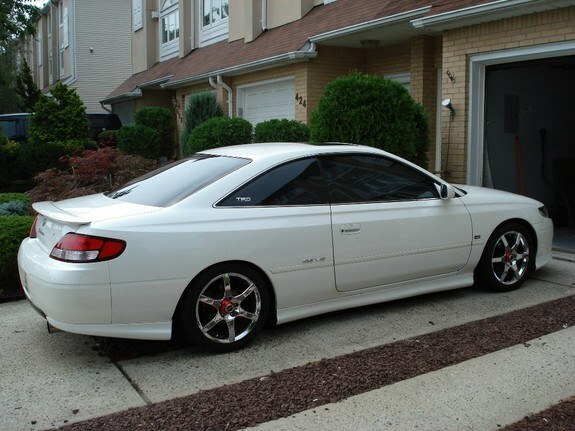 I took them off my Gen 1 TRD Solara a few years back and put in storage. If anyone on the site seems interested I can try to figure out how to put pics on the site. Since they are used I cannot state that they are in brand new straight condition, but I can take pics of front and back so you can see their condition. I also have a mismatched set of ties on them, that I can leave. Let me know if there is any interest. Local Pickup would likely be best since shipping may be high. Central NJ. I'm definately interested tho it depends on price as i would need these shipped to Colorado. OK, I got a few PMs, just thought I would add some pics. I would take $300 for all (4) with tires. Pickup preferred, live in Central NJ. I also added a pic of what they looked like when on my car. Car not for sale You may need to right-click on Pic and View Image to see full image. These come with the TSW R-System Red Billet Nut and official TRD centers. Also I have the center nut wrench removal tool. 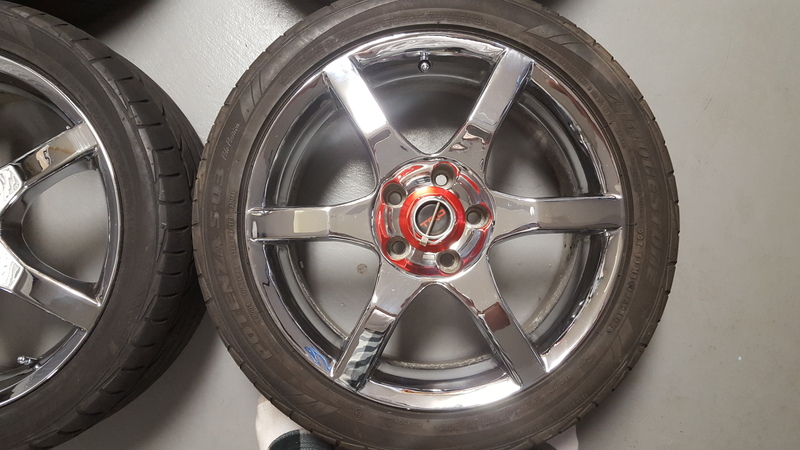 Since I had these electroplated at a local shop, I chose not to have the lug nut covers chromed, but I have them as well in original silver, you can choose to chrome-plate on your own, but I did not think it was necessary.